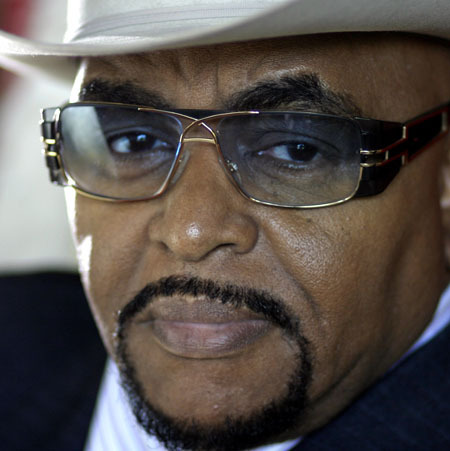 Recorded by the Rolling Stones, Wilson Pickett, the 13th Floor Elevators, the North Mississippi Allstars, and even the Blues Brothers, Solomon Burke used his tune to testify his message of love until the very end (he died on the morning of October 10th on his way to a sold-out gig at the world famous rock club, the Paradiso in Amsterdam). Burke first hit the Top 10 R&B charts in 1961 and 1962 with “Just Out of Reach (Of My Open Arms)” which was immediately recorded by Betty Harris, and followed with the Bert Berns song, “Cry to Me”, also cut by the Rolling Stones in 1965. That year Burke scored an R&B number one with his own song, “Got to Get You Off Of My Mind.” The decades in between the ’60s and the present have in part been described by Burke as his “pits of hell,” but by the millennium he’d made a comeback: Don’t Give Up On Me was a 2002 Grammy-winning blues album featuring songs by Elvis Costello, Brian Wilson, Nick Lowe, Bob Dylan, Van Morrison, and Tom Waits. Career Highs: Crowned by a DJ who called him the King of Rock ‘n’ Soul in 1964, Burke took the scepter and the cape and ran with the gimmick, paying no mind to what James Brown or anyone else had to say about the title. Performing perched atop his onstage throne, Burke was inducted into the Rock and Roll Hall of Fame in 2001. He was extraordinarily honored to have performed at the Vatican for Pope John Paul II. Career Low: He perceived that Atlantic Records honcho Jerry Wexler stonewalled his dream project, the Soul Clan, a super-group projected to make bank and fund much-needed community-based projects in the late ’60s. Initially conceived to include Otis Redding and Wilson Pickett, Redding’s death by plane crash was the first devastation. Pickett’s exit followed, which left Burke, Don Covay, Ben E. King, Arthur Conley, and Joe Tex to record a rousing single, “Soul Meeting”/”That’s How I Feel.” But when the recording budget was withdrawn, the album was filled-out with substandard tracks. “Those dreams got crushed… it shattered us,” Burke told me in 2008. Essential Listening: Burke’s swansong Nothing’s Impossible was released in 2010; it may also be considered his masterpiece: An old-school Memphis soul record made in collaboration with legendary producer Willie Mitchell at Mitchell’s Royal Recorders, home of Al Green’s and Ann Peebles’ hits, it’s got the stylized, Hi Records rhythm and sound—and is a fitting farewell from two soul masters. And if you like that: Nashville, his 2006 album, is a nod to Philly-born Burke’s love of country music, produced by Buddy Miller and featuring duets with Dolly Parton, Emmylou Harris, Gillian Welch, and Patty Griffin.